Are you wondering how to teach homeschool physical education? Those of us who went to traditional schools tend to have a love/hate relationship with physical education. If you were naturally athletic, looked great in gym shorts and adept at dodging dodge balls, you probably loved P.E. If you were uncoordinated, too skinny, too chubby or always the last one picked for the team, you were likely on the hate end of the equation. No matter what type of experiences we had when we were in school, we can make P.E. an enjoyable part of our children's education. Homeschool physical education encourages children to live active lifestyles, and helps them build healthy habits that they will carry with them into adulthood. Physical activity is also a great way to help children burn off their seemingly endless supply of energy. This is especially important for kinesthetic learners who need to move in order to learn. Some parents of especially active children have found it helpful to begin their school days by letting their children run a few laps around the block. A solid homeschool physical education program should focus on helping children develop strong muscles, cardiovascular endurance and flexibility. Most experts recommend at least 1 to 3 hours of moderate to vigorous activity per day for school age children. This activity can be completed in one or two large chunks or broken up into small increments throughout the day. Here are some simple, inexpensive ways to homeschool P.E. Stock your home with inexpensive athletic equipment like balls, jump ropes, hula hoops and Frisbees. Allow your children to explore this equipment on their own, then show your children different ways of using the materials and introduce simple skill building activities. Walking is suitable for children of all ages and fitness levels, and best of all - it's free! Start with a short walk around the block, a trip to the local corner store, or even window shopping at a local mall. Gradually increase your pace and distance, and keep your walks interesting by varying route and location. If there is a lake or nature preserve nearby, combine science and homeschool physical education by taking your kids on a nature hike. Skateboarding, roller skating, roller blading and bike riding are fun activities that can really get the heart pumping. Make sure your children wear helmets, elbow pads and knee pads, and follow other safety precautions when using wheeled equipment. Parks provide readymade cardiovascular and strength building opportunities for students of all ages. Ladders, slides, swings, and monkey bars promote gross motor development. If your children aren't moving fast enough to get their hearts pumping, challenge them to a game of hide and seek or freeze tag. Physical activity is still important when it is cold or rainy outside. When the weather interferes with your plans for homeschool physical education, you can still dance, play a workout video or jump on a mini trampoline indoors. If you're willing to brave the elements, drive to a local indoor gym to shoot hoops, play volleyball, climb a rock wall or just run around. If you have an indoor pool within driving distance, swimming can be a great year round activity. My family likes to take advantage of the pool during cooler months when it's too cold for outside activity and most kids are in school. Delegate your coaching duties and follow your children's interests by signing them up for dance, gymnastics, karate, swimming or other private lessons. 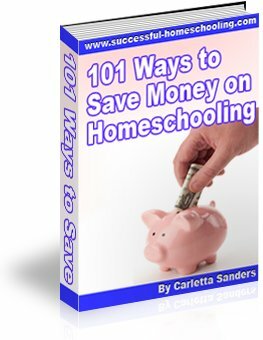 Reduce expenses by taking homeschool classes or bartering with other homeschool parents. In addition to fulfilling homeschool physical education requirements, sports are great character development activities. You can find sports programs at recreation centers, YMCAs, homeschool sports leagues and churches. If you don't want to commit to an entire season of games and practices, sign your children up for a week long sports camp. Here is some additional information about homeschooling and sports. Some recreation centers, YMCAs, private gyms and homeschool support groups offer Phys Ed classes where homeschooled children can participate in traditional group activities. If there is not a program available in your area, grab a few friends and start one. If you have forgotten all of the rules to your favorite P.E. games, see if your library has a copy of The Ultimate Home School Physical Education Game Book by Guy Bailey. This book has suggestions for physical activities that are tailored for smaller groups of 2-4. When adding P.E. to your home school program, start small and slowly build up to your full routine. Create a lifestyle of fitness by replacing 30 minutes of sedentary activity with a walk or bike ride. Do a few sit ups, pushups or jumping jacks in between academic subjects. Instead of lounging around after dinner, go out in the back yard and play catch or a game of tag. Begin with activities that are suited to your child's strengths, then gradually add variety to your routine and increase the level of difficulty. Help your children set goals for distance, endurance or skill development that are slightly challenging, but not overwhelming. Reward your children for reaching those goals. When homeschooling P.E., don't be a bystander. Get on your feet and lead by example with an attitude of enthusiasm. Put away your whistle, and create a supportive, encouraging atmosphere. Make physical education a subject that every member of your family enjoys.